Both aircraft will operate on routes within Western Africa out of Groupe Transair’s Dakar, Senegal hub. 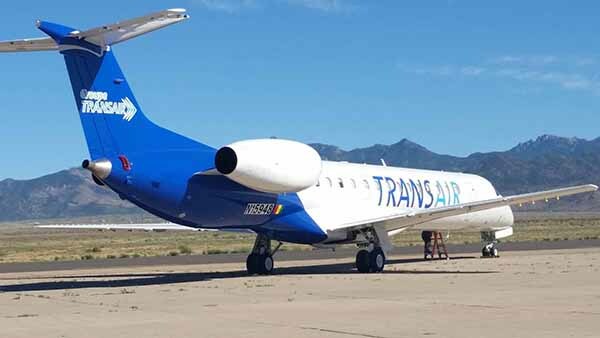 With the recent shutdown of Senegal Airlines, Groupe Transair is rebuilding the capacity lost with the closure of Senegal’s former regional carrier. AeroVision was among the first to enter the ERJ airframe parts business with the 2012 acquisition of a fleet of low time / low cycle ERJ-145LR’s formerly operated by Mesa Air Group and has become the largest independent supplier of ERJ material and major subassemblies (landing gear / APU’s / AE3007 engines) in the world, supporting both regional airlines and corporate / shuttle operators. Additionally, AeroVision has managed the refurbishment and return to service of numerous ERJ-145LR & ERJ145EP’s to date, with several additional refurbishment projects to be announced shortly. About Groupe TRANSAIR SA: Founded in 2009, Groupe TRANSAIR has become a leader in the Senegalese passenger Air Transport for National and sub-regional flights. Currently operating 2 ERJ145EP and 1 EMB120, Groupe TRANSAIR was designated in April 2016 by the Senegalese local authorities to operate to the sub-region airports on behalf of the National Carrier. Information on Groupe TRANSAIR can be found at www.groupetransair.sn.